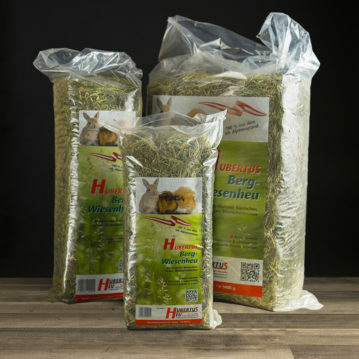 In 35 years the Futtermittellabor Rosenau has developed into a routine laboratory with more than 8000 feed samples per year. 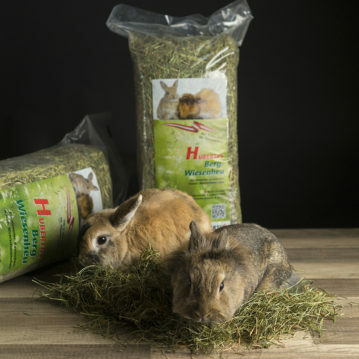 The focus is on the wet-chemical investigation of basic feed stuffs, such as hay. In addition, microbiological and toxicological studies are also offered, whereby the results are interpreted according to the animal category. New in the program are fast analyzes on raw nutrients by means of near infrared reflective spectroscopy (NIRS) in certain feedstuffs. Gas formation tests with rumen juice are carried out in ruminant compound feeding stuffs to determine the energy content. Toxicological studies (especially Vomitoxin and Zearalenone) are carried out in a partner laboratory. 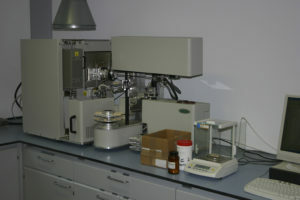 Information on the sampling, the possibilities for examination and tariffs, as well as the specimen inspection slip can be obtained from the homepage of the laboratory www.futtermittellabor.at are displayed or downloaded. The majority of samples are delivered by mail or parcel service. 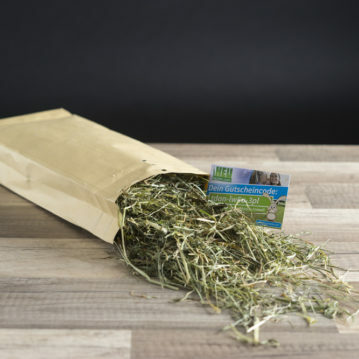 Customers from the region can bring samples into the laboratory during the operating hours and deliver the feed into the sample box in front of the building outside the operating hours. After the sample delivery, the samples are registered with a consecutive number, marked and the desired examinations are recorded. Then the dry and wet patterns are separated from each other. 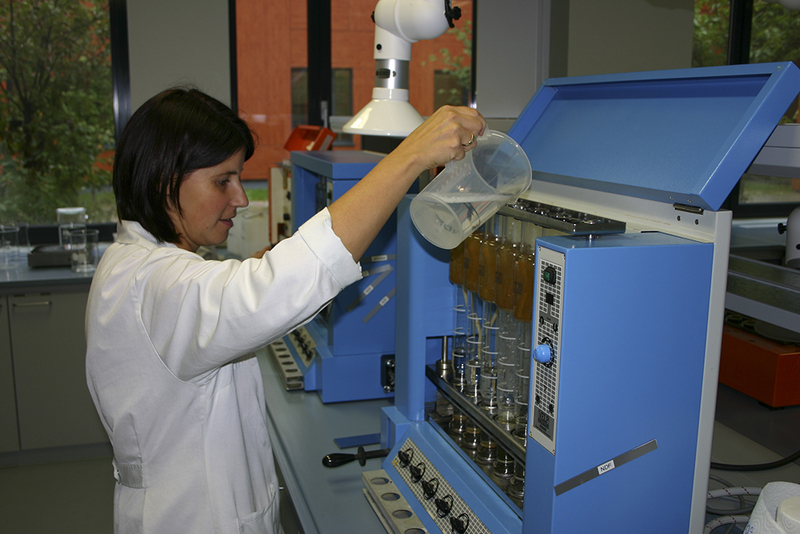 The wet samples must be dried in a drying cabinet at 70°C to a residual moisture of approx. 10% in order to be storable afterwards. After drying (12 -24 hours), the actual water loss is determined by re-weighing. Subsequently, all samples in the grinding chamber are ground to 1 mm sieve fineness (method specification). The crude protein determination is based on the combustion method according to Dumar. The sample is conveyed into a combustion chamber, which is filled with helium, and supplying pure oxygen then carries out the combustion. The nitrogen oxide content resulting from the combustion is measured and the nitrogen or the calculated raw protein content is determined therefrom. In the crude fiber determination, a certain amount of sample is boiled with sulfuric acid and then with potash of potassium hydroxide for half an hour. After the subsequent drying, the back weighing takes place. The residue is intended to reflect the hard-to-digest fiber content. In the crude fat determination, the sample is extracted by means of diethyl ether. Thereby the feed fat is dissolved and is calculated as the missing residue after drying the residue. In muffle furnaces, the samples are incinerated (etched) for 5 hours at 550°C. (raw ash determination) and 490°C. (crude fiber and structural carbohydrate determination). The nitrogen-free excretion substances (NfE) mainly contain rapidly degradable carbohydrates (starch and sugar) and are reported as a mathematical remainder. The digestibility is determined by means of interpolated table values from the ash-corrected crude fiber content. The energy content is the calculated result of the raw nutrient content and its digestibility’s. 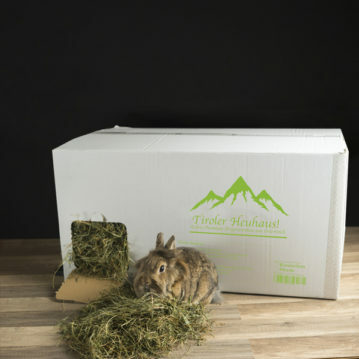 For each animal category, it is shown differently according to the prescribed calculation formulas of the DLG or the feed regulations. The elements (Ca, P, Mg, K, Na, Fe, Cu, Zn, Mn and sulfur) are determined by means of an optical emission spectrometer (ICP-OES). The method is based on the optical investigation of the characteristic radiation, which emits electronically excited atoms or ions. For this, the sample has to be prepared by incineration and dissolution. The Sugar Determination captures the content of reducing sugars and the total sugar. The sample is pre-treated with chemicals and reagents in a complex process and the sugar content is determined by titration. 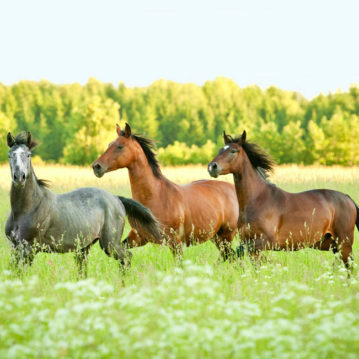 A microbiological examination is carried out preventively or in the case of suspicion of feeding hygienic defects, for example at Horse hay a microbiological examination is recommended. 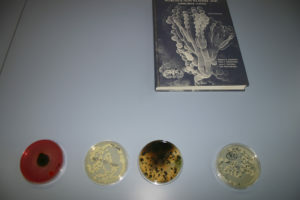 The contents of bacterial yeast and mold fungi are determined. The prepared feed samples are inoculated in several dilution series by means of plate alignment methods and incubated for several days on appropriate nutrient media. For identification, the samples can be colored as thin film preparations. 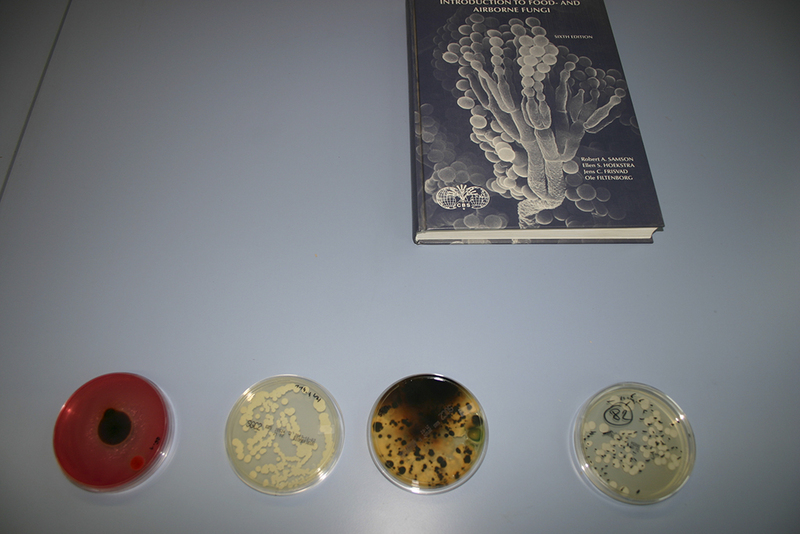 In addition to incubation on nutrient media, the samples are examined in the microscope for fibrillation and storage damages.